Provides such muscle relaxation that you may sleep better if you experienced occasional difficulty sleeping. 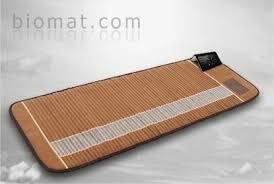 Experience BioMat with a Chios Energy Healing Treatment, Vibrational Frequency Therapy, Metaphysical Anatomy Therapy or on its own in a soothing healing environment. ​What is CBD used for? What is CBD used for? CBD short or Cannabidiol is a non psychoactive compound in cannabis responsible for many of cannabis medical benefits. On the other hand THC short for tetrahydrocannabinol is the psychoactive compound in marijuana that causes the high associated with cannabis use. They are two completely separate cannabinoids which are a class of chemical compounds that interact with special receptors in our body called cannabinoid receptors. Dr. Sanjay Gupta, an American neurosurgeon and CNN’s chief medical correspondent changed his stance on the prohibition of cannabis. We have been terribly and systematically misled for nearly seventy years in the United States. And I apologize for my role in that. Through Dr. Gupta’s review of the history of cannabis he found that it has been a legitimate medicine for at least 3,000 years. Dr. Gupta isn’t alone in supporting cannabis research. The director of the National Institute on Drug Abuse Dr. Nora Volkow testified before the Senate, saying that CBD appears to be a safe drug with no addictive effects. And the latest data show that it could have therapeutic value for a number of diseases. Researcher found out, that CBD can influence many health conditions and bodily functions. Including Inflammation, Neuropathic pain, Autoimmune disease, Energy regulation, Metabolism, Appetite, Depression, Anxiety and even cancer.